Alfalfa sprouts, usually eaten raw, can be dangerous to consume if you are pregnant, a child or elderly, due to the dangers of salmonella, according to the U.S. Food and Drug Administration. If you prepare raw sprouts correctly, you can reduce your risk of food-borne illness. Alfalfa sprouts are a good source of calcium, potassium, vitamin A and vitamin K, according to the USDA National Nutrient Database. Wash your hands with warm water and soap. Remove the alfalfa sprouts from the container. Run water over the alfalfa sprouts to rinse off surface dirt. Washing your hands before and after handling alfalfa sprouts and rinsing the sprouts thoroughly will ensure that any if any bacteria is on your sprouts it won't be passed to other foods, according to Food Safety.gov. 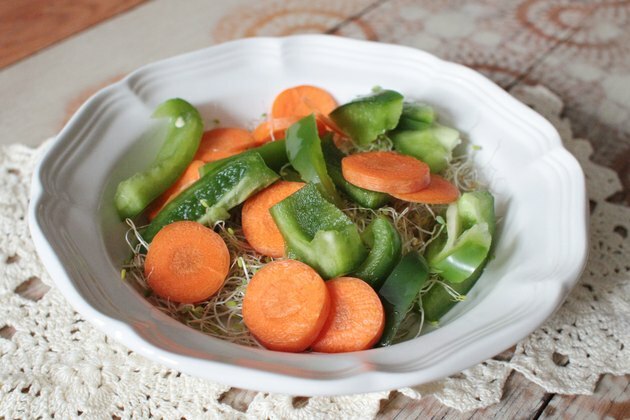 Layer the raw alfalfa sprouts with lettuce, carrots, and any other vegetables you enjoy to make a salad. Squeeze a fresh lemon over the salad for dressing. 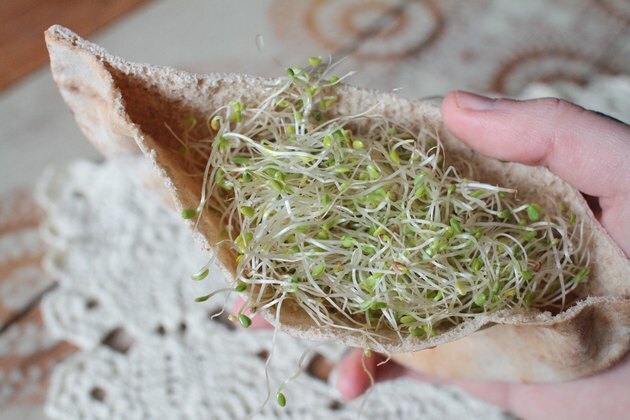 Stuff a 1/2 cup of raw alfalfa sprouts into a piece of pita bread. Add falafel, tomatoes, and lettuce inside of the pita. Spread a tzatziki sauce on one side of the inner part of the pita bread for extra flavor in your sandwich. Saute or stir fry alfalfa sprouts with peppers, onions and chicken. 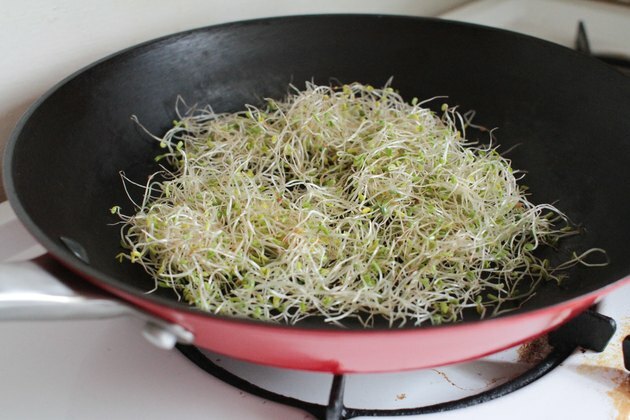 Remove the alfalfa sprouts from heat after 30 seconds to avoid wilting, suggests Recipe Tips.com. Purchase alfalfa sprouts that look crispy and have buds. Avoid soggy or dark colored sprouts to avoid potential food related illnesses. Dispose of leftover alfalfa sprouts within four days to a week after purchase. 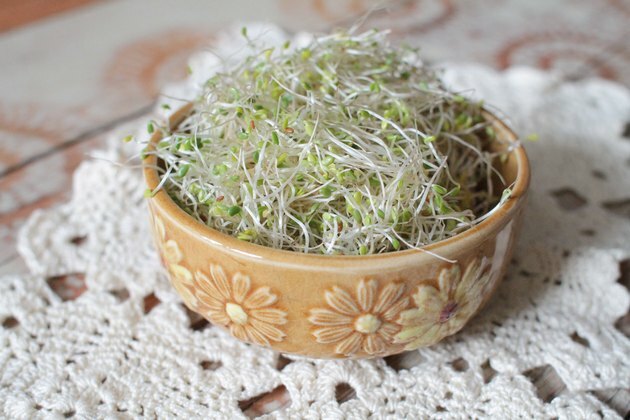 Food Safety: Are Alfalfa Sprouts Safe to Eat?